The Winslow House was the home of Lydia Jackson. She married Ralph Waldo Emerson in the front parlor. It has since been greatly enlarged and ornamented and is presently owned by the Mayflower Society of Descendants. 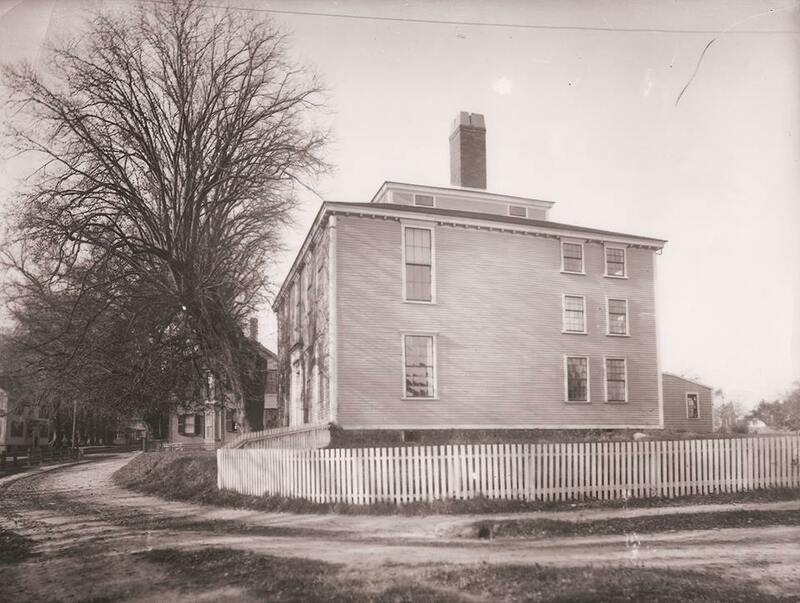 In March of 1834, Lydia Jackson stepped out of the old Winslow House on North Street in Plymouth on her way to hear a lecture. The stately old mansion, built in 1754 by Edward Winslow, had been her home nearly all her life. Her grandfather had purchased it after Winslow (a Tory) was forced to flee Plymouth prior to the Revolution. Her parents, Charles and Lucy Cotton Jackson, raised their family there. Tragically, both Lydia’s parents died in 1818, leaving her an orphan at age 16. Although not the oldest of her siblings, Lydia took on the role of parent and managed the household. Her father had been a successful merchant and had left a healthy inheritance. Lydia’s older sister, Lucy, married a merchant and bore him two children before he abandoned her and left town, having spent a good portion of the Jackson family’s fortune. Lydia took Lucy and her two children in and they managed as best they could. She also helped raise her younger brother, Charles Thomas Jackson, who would become a famous physician. Lydia was known for her intelligence and remarkable grace of movement. She questioned the orthodoxy of the Unitarian church and was eager to discuss differing religious and philosophical views. On this particular day, she was eager to hear a lecture from a like-minded man, a speaker who was quickly becoming something of a celebrity in Massachusetts for his eloquence and profound ideas. She had heard him speak before, once, in Boston. At the time, years before, he was still a young minister, had not yet resigned due to his discomfort with orthodoxy, had not yet decided to dedicate his life to lecturing and speaking his mind. While she was inspired by his artful speaking abilities, she best remembered him for his long neck. And she never expected to see him again. 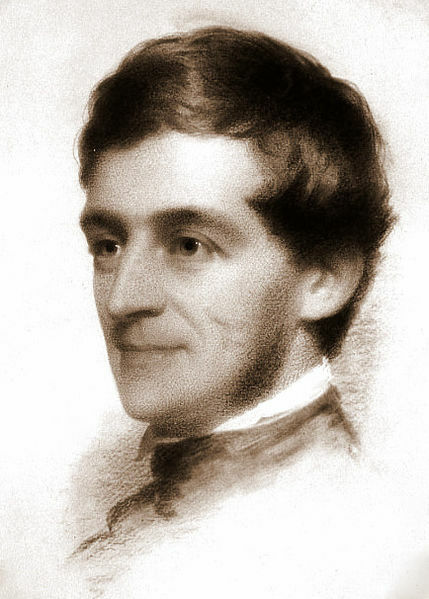 Now, Ralph Waldo Emerson, 30 years old, was engaged in a lecture tour around Massachusetts. He had kicked off this new career as a public speaker and writer just a few months earlier in November 1833 with a lecture on natural history (some ideas from this talk would form the basis of his revolutionary first book, Nature, published in 1836). For the past month or so, he had been staying in New Bedford, lecturing and hearing others lecture. A close friend, another kindred soul, George Partridge Bradford (of Pilgrim stock and likely living in Plymouth at the time) persuaded him to make a trip to Plymouth during the winter of 1834. Emerson had traveled to the Pilgrim town as something of a sightseer in the first week of February 1834. “I have been to Plymouth and stood on the Rock,” he wrote in his journal back in New Bedford on February 7, “and felt that it was grown more important by the growth of this nation in the minutes that I stood there. But Barnabas Hedge ought not — no man ought—to own the rock of Plymouth.” At that time the base of Plymouth Rock was embedded in Hedge’s Wharf and indeed owned by Hedge. George P. Bradford not only wanted to introduce this great mind to Plymouth. He also, apparently, had a secondary motive. Bradford knew Emerson well. He also knew Miss Lydia Jackson, having been her instructor in German. It was Bradford who got her reading Goethe, an inspirational source for so many Transcendentalists and free thinkers at that time. Bradford apparently saw in Lydia a mind and spirit so very like Emerson’s. Emerson was a widower, his first wife having passed three years before in February 1831. Miss Jackson, as unfair as the antiquated label may have been, was on the brink of being considered an old maid. Bradford would introduce them. 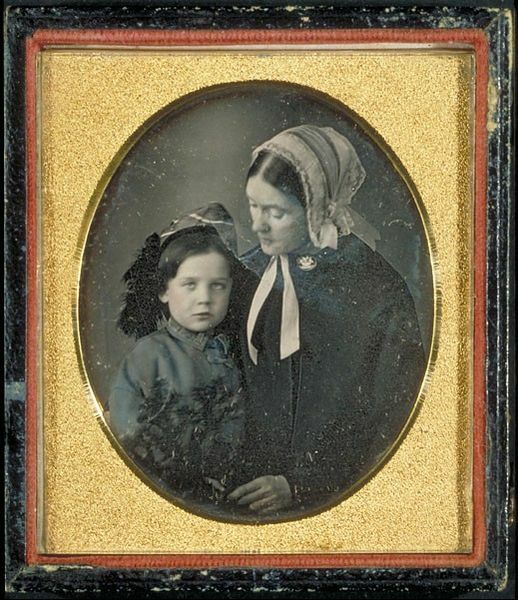 Lidian Jackson Emerson and son Edward Waldo Emerson, c. 1850. Delighted and nervous, Lydia composed a response. Then decided not to send it and asked him to come to Plymouth so that she could read it to him in person. Emerson spent January 30, 1835 with her and sat in the parlor of the Winslow House while she expressed her concerns. Although she did not turn him down, she felt she might not make a good wife and feared that becoming Mrs. Emerson would too dramatically alter her life (and it would…Emerson would even persuade her to change her name to the more Romantic “Lidian”). Emerson assured her of his feelings, reminded her of what he had written in his letter, and the two agreed to become engaged. They were married on September 14, 1835, in the parlor of the Winslow House. When Lydia descended the stairs, Emerson met her part way, and they proceeded together, just as she had envisioned months earlier. Popular Posts: What people are reading today. The Story Behind "Sleepy Hollow"
The Myth of Samuel Prescott, the "Third Midnight Rider"
© 2010-2018, Patrick T.J. Browne. All rights reserved.